Visit the LexisNexis® Store at www.lexisnexis.com/MR2019 or Call 800.223.1940 to speak with a LexisNexis® account representative. For phone orders, customers will need to reference the promotion code MR2019. Online orders will automatically receive the discounted price of $36.75 when clicking on the book cover to order. This is a 25% savings for members using the Michigan Realtors® promotion. If this is your first-time logging in, please use your 9-digit NRDS number for your username and your Last Name as your password. 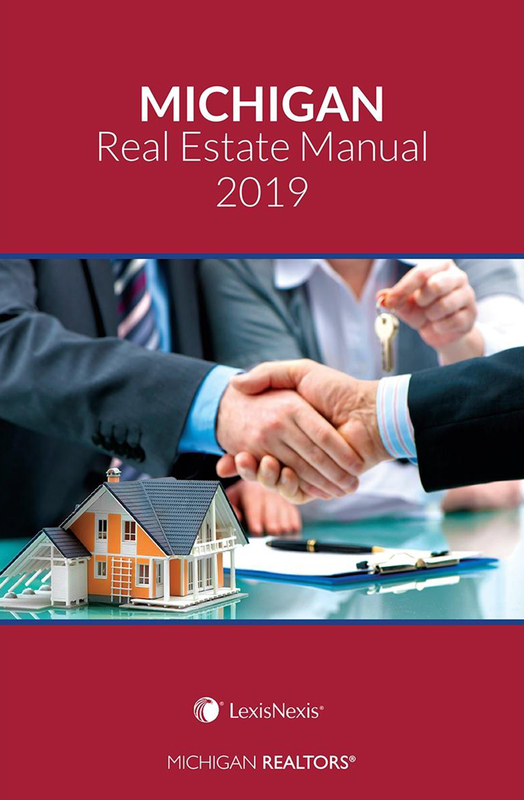 Reproduction and distribution of the presentation without written permission of Michigan Realtors® is prohibited. ©Michigan Realtors® 2019. All Rights Reserved. Michigan Realtors® legal work product and educational materials found at mirealtors.com and law.mirealtors.com are proprietary and subject to copyright. If you wish to use the content for educational purposes, please contact Michigan Realtors® for licensing options.